another vegan beer dinner in san diego! well, i’ve got some bad news and some good news. the bad news is, stone’s vegan pairing dinner is already SOLD OUT! wow, that was quick. good job, vegans! hopefully the interest will convince stone to hold another one asap. 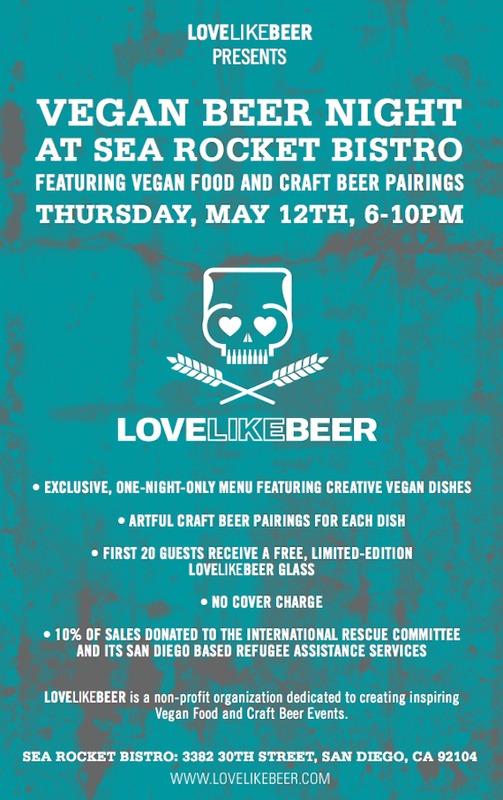 the good news is, there’s gonna be another vegan beer dinner in san diego that very week hosted by the folks at LOVELIKEBEER!